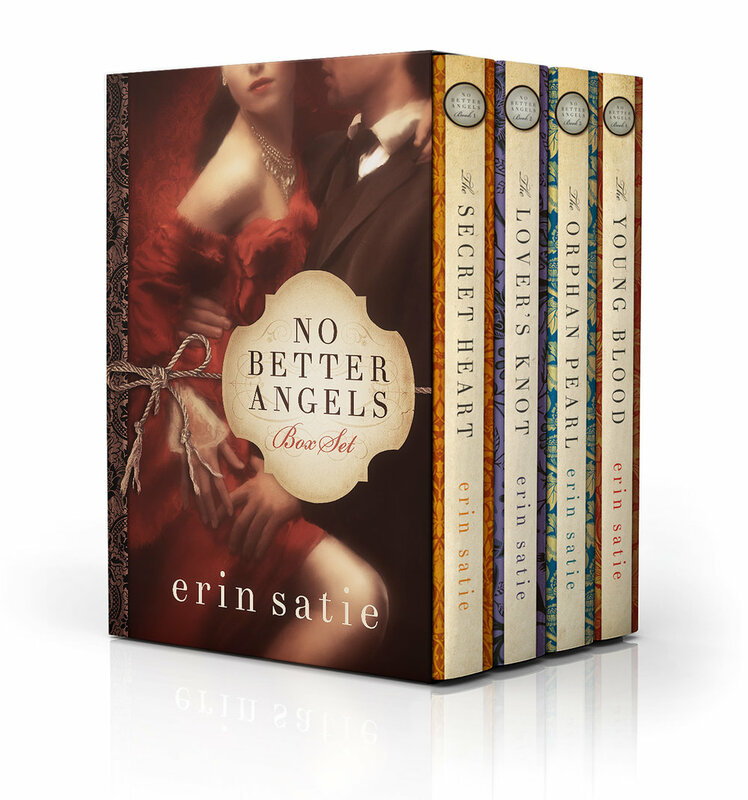 The complete No Better Angels series collected in a single omnibus edition. Includes The Secret Heart, The Lover's Knot, The Orphan Pearl and The Young Blood--four dark, elegant historical romances worth savoring--for only $9.99, less than buying each book individually. Caroline Small is a fortune hunter, and she's found her prey of choice: the Earl of Bexley. But the more she schemes to entrap him, the more she risks trapping her own heart. When Julian Swann becomes the tenth Duke of Clive, he's surprised to learn that his predecessor--who supposedly died of a heart attack--actually committed suicide. But the secret of the last duke's death is more sinister than it first appears. His suicide note is a forgery. And the author, to Julian's horror, can only be Sophia Roe--his ex-fiancee. Sabine Banchory believes that an unhappy marriage has made her immune to rakes like the Earl of Kingston. Kingston is fairly certain that, with the right attentions, Sabine will fall into his bed and insist that she'd come up with the plan. It's a game of cat and mouse he's played before, interrupted by a terrible crime that changes the rules... for good.